The client contacted SOuL.S.P.I. 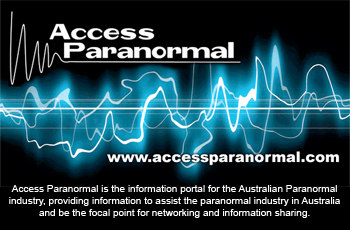 regarding possible paranormal activity in their rented Victorian terrace house in Woolloomooloo. “Things stopped for a little while and just as I was thinking things hadn’t happened for a few months we’ve had activity again. Appliances turning themselves on. I was in the kitchen talking about all the paranormal activity then the radio switches itself on. I turn it off, then it turns itself back on again. Door was open once near the kitchen. Had a strong scent of perfume come from outside. Door shuts. It was a unique perfume of oriental and fruity scents. Someone recently visited the house and without us saying anything about the house she said she saw an apparition come down the stairs and go straight through her. Weather: Mostly clear. 18-26 degrees, 61-66% humidity, 18-36 km/hr windspeed N, ENE; 33km/hr gust, 1014.6h/PA pressure. Current temperature (8:30pm) 21.4 deg C.
1. Near the attic stairs a voice says, “Help me” or “Help him” ? 2. After Janine asks, “Anyone like to place their bets?” a “sh” noise and a voice can be heard. 4. A voice is heard, possibly in reply to the question about looking after the children. 6. Knocking as a possible response to Janine’s question.